Your opinion matters. 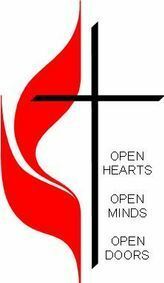 Leave A Review Or Edit This Listing for Pasadena United Methodist Church - Care Corner. Landmark is a large electronic sign on our front lawn. Pantry is closed when AACo schools close due to inclement weather. Monetary donations appreciated to help replenish items and to continue our ministry of serving the community through our Care Corner Food Pantry. Checks may be mailed to the church, payable to PUMC and note in memo line, "Care Corner". We always need more information on our pantries. If you know of any details, volunteer information, website, hours or more description information about Pasadena United Methodist Church - Care Corner please add a comment (below the map on this page), with information. We will then display this for all visitors on this page.